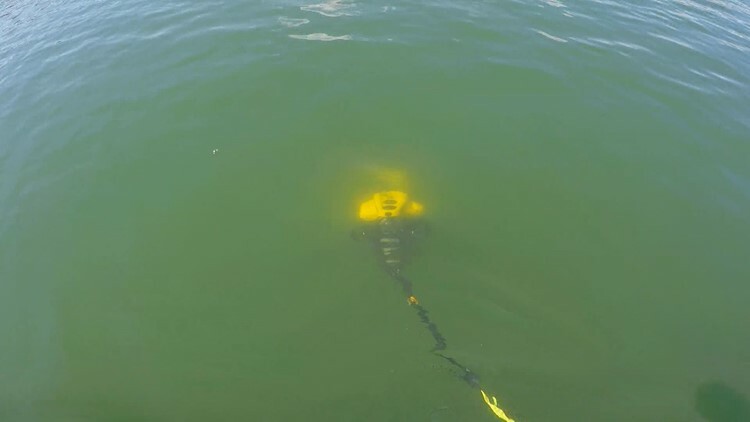 The Summit Country Sheriff's Office is the first in Colorado to use an underwater drone to help in their investigations. 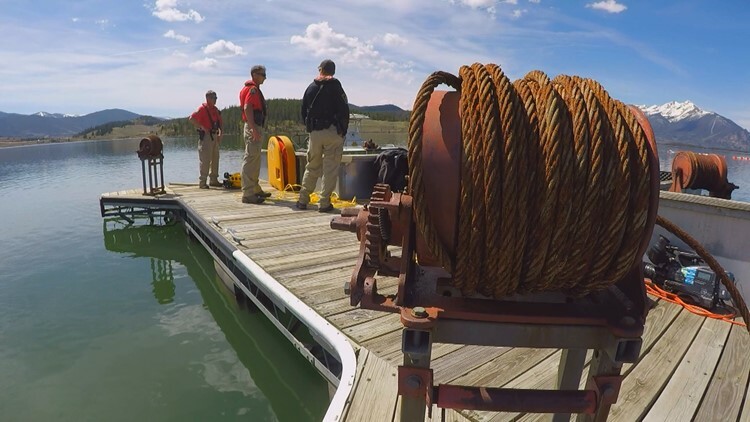 Summit County — At the Dillon Reservoir, deputies with the Summit County Sheriff Department are training with something new for their underwater missions. “This is really a unique thing,” Sergeant Mark Watson said. It’s a Remote Operated Vehicle, or ROV Underwater System. It’s something Tom Crossmon with Crossmon Consultants describes as an underwater drone. “They have been using them for shipwrecks and that type of stuff for many years,” Crossmon said. Crossmon sells and trains law enforcement departments all over the world on how to use the ROV, and believes Summit County is the first law enforcement agency in Colorado to get one. The device uses sonar, a camera, and a powerful claw to find people underwater and bring them to the surface. “If it’s a drowning victim, we grab a hold of them with the manipulator and bring them to the surface,” Crossmon said. To train deputies, they use a lifelike dummy wrapped in chicken wire located deep under the murky water of Lake Dillon – which is an important tool at high elevation where most divers can’t safely go past 80 feet. The ROV has no problem with the chilly water, and is able to drop 1,000 feet in less time than a human diver could. “Now their bottom time might be 30 seconds to four minutes,” Crossmon said. Which will also reduce how long it takes to find someone who is missing in the water. “Help a family find their loved ones, that’s our goal to do our best to help them,” Watson said. The ROV costs $65,000, but the Summit County Sheriff’s Department says they were able to get grants and public donations to help pay for it.